KellyMitchell is pumped to sponsor the Central States OAUG (Oracle Applications Users Group) 2015 Midwest Business Executive Summit in St. Louis. We have a booth and it will be stocked with cool freebie items so stop by and see us! The official geographical region of the Central States OAUG is Missouri and Kansas. 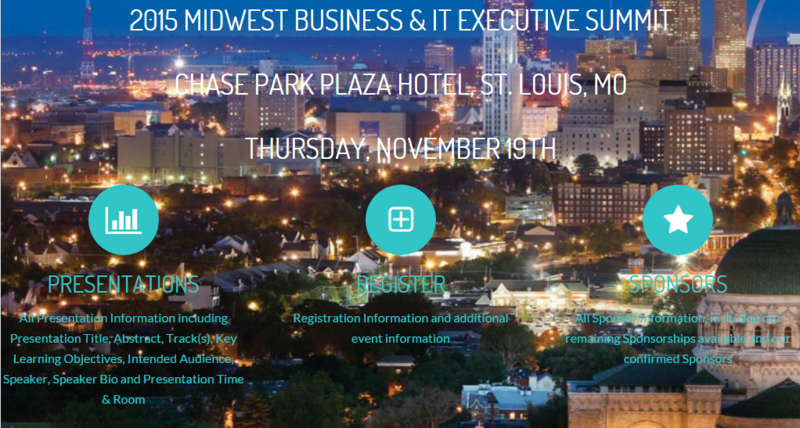 The 2015 Midwest Executive Summit is being held at the Chase Park Plaza on November 19th. The CS OAUG has been around for 16 years. The Summit’s website describes the event as including over 30 presentations and 2 keynote addresses on Cloud, Managed Services & Hosting, Mobile, Big Data, Advanced Analytics, Financials, Supply Chain, HCM, Business Intelligence, Customer Experience, Corporate Performance Management, Engineered Systems, Middleware, Core Technology, Data Quality, Internet of Things and our exciting Management track. The Central States OAUG 2015 Midwest Business Executive Summit is free to the user group’s community members. We hope these fun facts made you as excited about the Summit as we are! See you there!